Creators of Luna Nuda Wines and 4th generation winemaking family, the Giovanetts believe Luna Nuda wines taste best during a full moon. 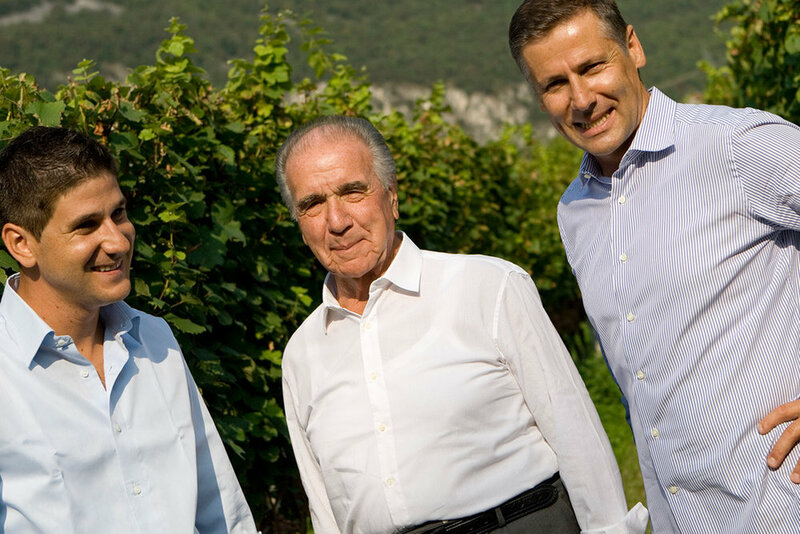 Alfons Giovanett founded Castelfeder Winery in 1970 in Alto Adige, Italy, where Luna Nuda Pinot Grigio, Rosé & Red Blend are created. 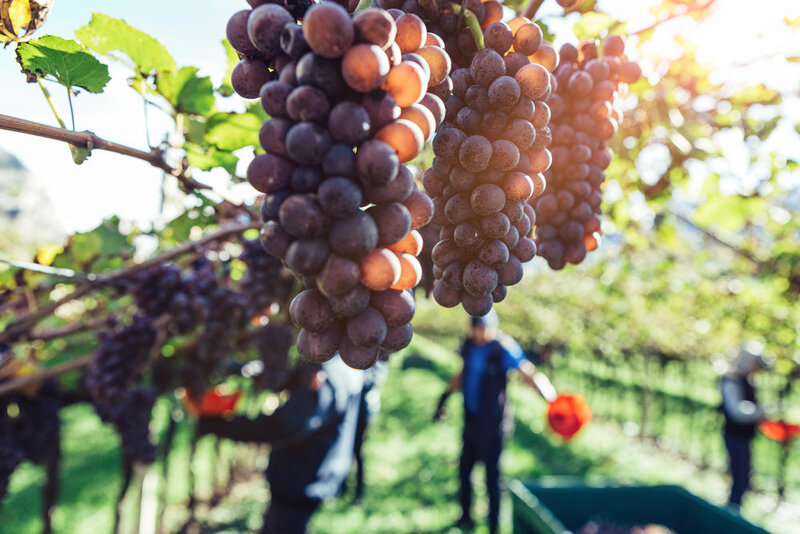 While attending the renowned wine school in San Michele all’Adige and during his winemaking career, Alfons was intrigued by the phases of the moon and the effects it has on winemaking. His conclusion: wines taste best during a full moon, when positive affirmations are made, it’s a time for relaxation and to surround yourself with great company. Alfons has even made a wine that he keeps in stainless steel tanks for exactly 1 year so that the wine concludes an entire moon cycle, which he believes the best juice is created from. The coming of a new lunar cycle is a time for renewing, new beginnings or starting over to rid of any negative vibes (good vibes only). Although delicious any day or time of year, we celebrate Alfon’s philosophy and toast to each month’s new lunar cycle. Who doesn’t love something to look forward to and another reason to celebrate great wine? The Castelfeder Wine Estate, owned and operated by the Giovanett family, is a mid sized 4th generation family winery estate located in the historic town of Cortina, which is steeped in ancient wine making traditions but very modern at the same time. This village is located at the core of Lower Alto Adige production area in Northern Italy near the Austrian/Swiss border, an area that we believe makes the best Pinot Grigio in the world. 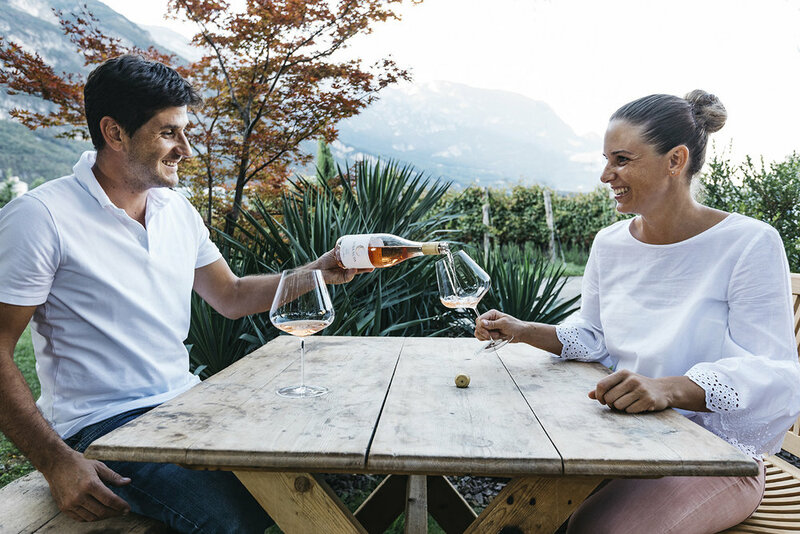 Luna Nuda Pinot Grigio comes 100% from the Casltlefeder Estate Vineyards….about 120 acres located on the Alto Adige/Trentino border.